Venus Rising Collective wants YOU to be involved in our Network! We are an art collective that not only supports you and what you create, but we also want to develop a Network of women who can be a resource to other women! We have created a database of amazing women who have varying passions, creative and other skill sets that should be shared with everyone! We've gotten some of our current members bookings and product sales as well. Membership perks and exclusives will also continue to grow as our network grows! Join the family! Yes! 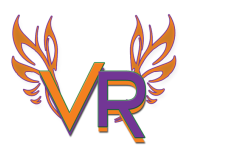 I want to be a Member of Venus Rising Collective!